Every professional project needs a strong, focused leader. A moving company is no different. 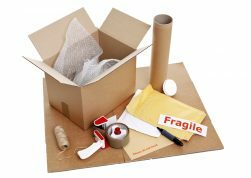 Regardless of the type of move, your team of movers will need to be led by a capable, experienced professional. In businesses of all kinds, a good first impression is worth its weight in gold. Don’t dismiss the feeling you get when you first meet with your movers; it may indicate the quality of their services from the very beginning! Don’t be afraid to ask your movers, how long they have been in business, as well as how much individual experience and training they have with the type of moves you’re asking them to perform. You’ll feel more at ease knowing you’re on capable, experienced hands! There’s something to be said for a company that everybody likes. When you find a moving company that is flush with good online reviews from local consumers both past and present, you’ve found a great candidate for your next move. No matter how great a professional is at their work, it’s all for naught if they don’t follow through. Look for movers with the drive to finish what they start and see your team through to a successful transition – every step of the way. 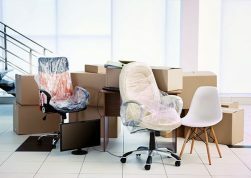 When you need the very best the area has to offer in corporate or private movers, you need the experience and expertise offered by MoveStar Inc. Our team of seasoned movers can help you relocate your team’s equipment safely and easily to any location – all without the hassle or strain on your budget. Contact us today to learn more and leave the moving to us!